their blog here. You can see who won my giveaway here. I encourage you to visit all the fabulous blogs that were on the hop – there is a list at the end of this post! These note holders are perfect for leaving a “Note to Self”! I created them using one of the FABULOUS files from Patricia at A Little Hut. I just bought a Silhouette Cameo and this was my first project. Patricia even has videos available to show you how to put your project together – perfect for a Cameo novice like me. I made one for my husband and then I liked it so much I made one for myself too. These stickers from the Alpha Stickers sheet I used for the note dividers are my most favorite Echo Park stickers ever. I used the Tim Holtz Tiny Attacher to attach them to some blank index cards. I had been hoarding these days of the week stickers from the This and That Sticker Sheet. The ones you can see are backed with other days of the week on the other side so I can turn them around and leave notes or messages on those days too! Here is a list of blogs that were on the hop! How fun and unique! I love how you can flip for more days! Great job! Wow, what a fun and innovative project! Love it! This has to be the cutest thing I have seen! Love it!! Oh, what a great little project! Cool idea! This is sure a cute idea! The papers work perfectly for this project! Fabulous! I love these little note holders! Totally awesome! What a great idea! i absolutely love these note holders. I love your projects. How fun. OH MY! SOOOooo adorable! You are one talented scrapper!!! Thanks so much for the inspiration! Very cute note holder! So original! How fun are these?! What an adorable and creative project! Love them!!! I would never have thought to create something like this, ever. Thanks for sharing. You always come up with the best projects! Love this! cuuuuute … i'm always writing lists and notes to myself. this caddy is perfect ! Love this idea…putting this on my short list for Christmas DIY's. love the projects! That would be fun to make birthday calendars and could have a month for each tab. Oh my gosh golly!! This is super adorable! I love the design and the use of the papers and man oh man! You totally inspire me girlie!! Great project…it looks like it was fun to make. You have inspired me. Absolutely adorable project! I love it!! OMG! Absolutely my favorite project!!!!! OMG, that is so clever, I love it! Wow, I love your project. I love your little note holders, Lowry! I am glad you made one for yourself too. Very cute! Oh wow – I love your note holders!! Awesome idea! Wao LOwri!!! I am just amazed by the cuteness of this project.. What a creative idea… fabbieee! Love the note holders! This collection is awesome. Thanks! great project!! love this– thanks for sharing! OMGravy…I sooo need to make these!!! Thanks for inspiring!!! I love your note holders! I need to make these…I could use the organization! Wow. You are all so creative and talented, I love your projects! Fun project, I am always looking for ways to use my paper for house projects. What a clever idea! TFS! Another seriously cute project…love it! wow – lucky you – have fun playing with your new toy – I see you are already putting it to good use, making cleaver projects! 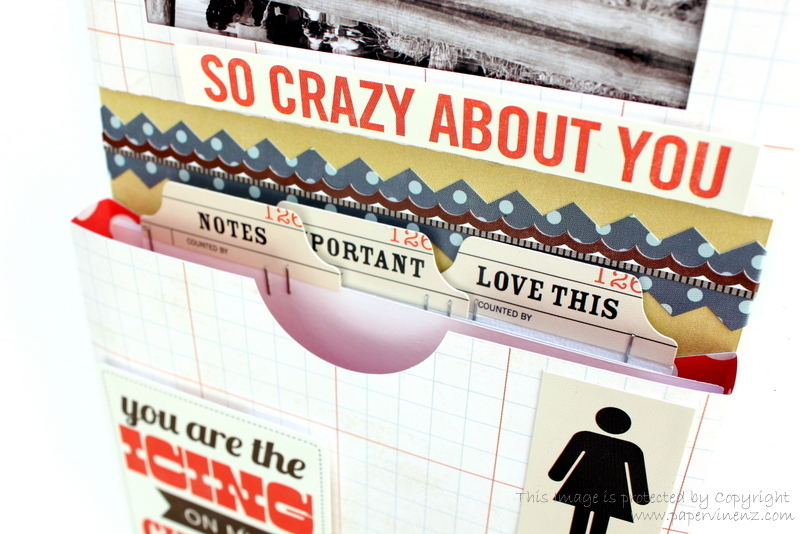 wow what a very cute project…love these papers! So cute!! I don't have a cameo but I think I would wing it and make this!! What a great way to use this collection! Thanks for sharing! wow these are SO CLEVER!! Love them! Very unique – first time I've seen a project like this. These are lovely, thanks for sharing. You've certainly inspired me. So neat! What a fantastic idea! What a great collection. I love your project. Thanks for the inspiration!! So fun!! Thanks for sharing with this awesome collection! what nice projects! thank you for sharing. This is darling! I love supplies that are office themed. Now I need to make one for myself. Love the fabulous files. Drat. I don't have a silhouette. Super cute idea! Absolutely love this project and the baby book! I just discovered your blog and will be visiting it regularly! Gorgeous, Gorgeous creations!!! This idea is so clever! What a creative project! Love it and will have to make it. This is wonderful – truly the perfect way to use the Note to Self collection! Love the two versions you created too. What a fab idea. The "Note to Self" collection is the perfect paper for this project! Fabulous project w/ just the perfect paper! Mahalo for sharing. These little holders are just adorable! I would have had to make one for myself, too! I am so jealous of your creativity! I am gonna make some of these! Thanks!!! Your creations are so cute and so useful! Whoa! This is seriously a great idea! I love the little tab dividers in the pockets! Wow, love these file and index dividers. So glad I stopped by on the blog hop. I hope I win to try some cool stuff with the line. Great project. Thanks for sharing and the chance to win! So fun! I always love your project ideas! Such a fun hop, thanks for the inspiration! 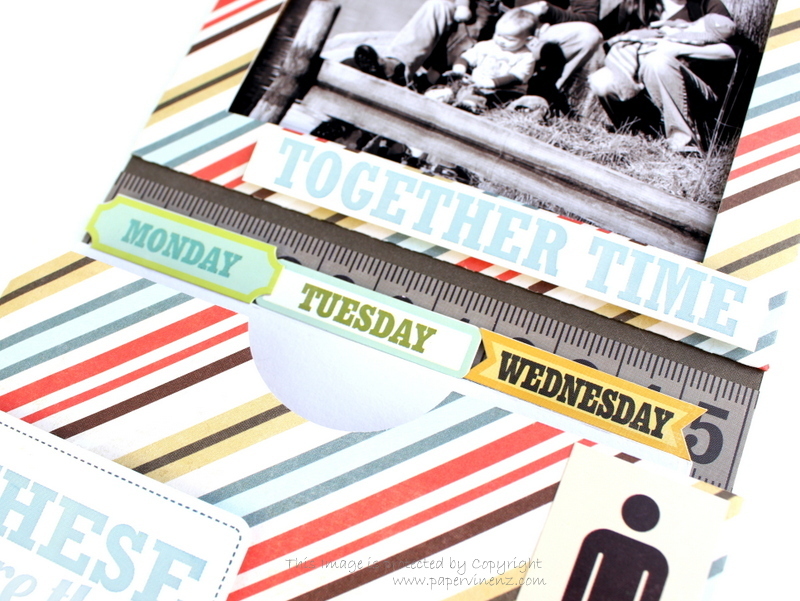 Love this collection and your project is just perfect with it! This is a darling project that is so useful! Thank you. Wow, there's no word to tell you how beautiful those projects are !!! I just love them ! I would love to make one as gorgeous as yours ! What a sweet idea with notes! Love it, really. That is a sweet project. Love how the papers look on those note holders. Awesome idea. Thanks for the inspiration. What a great idea! The more I see of this collection the more I need to have it! Thanks for sharing with us your projects ! Love these!! the file inserts look perfect! So cool, love this idea! Great work! Lowri – I love your work! These are amazing.I will definately try to make one myself.Thank you for sharing! thank you! your creations are always fantastic!! Those are so perfect! No wonders you needed one for yourself. The papers are super and gives this a LOT of class! Great job! This project is so cool, thanks for the chance to win!!! The paper and that digital cut were made for each other – loving what ya did! Super cool project. Lovin' this collection and I'm going to have to get a silhouette. Thanks. These are fantastic projects!!! Love them! Great project!! I cant wait to try this with my Silhouette. Thanks for sharing!! Cute "note to self holders"
How cool is that! What a great idea for 'notes to self'! You did a fabulous job, no wonder you wanted to make one for yourself as well! Thanks so much for the hop, its very inspiring! I love this! Wonderful place to store notes. This is the cutest project ever! Thanks for sharing! What a great idea and so cute!!! Thanks for sharing! Such a great idea! Loved it! Oh man, Ive been seeing too many good things with the Cameo. Might have to look into it. LOVE these note holders. Thanks for sharing and for the chance to win. I LOVE this idea!!! So funand usefull!! I just might have to make some. Thanx for sharing and the chance to win!! Wonderful project!!! Thanks for the inspiration!!! Great work with the kit!!! I really like the idea of a "pocket" to hold notes, etc. Will be making one of these soon! Thanks so much for sharing the idea with us! What great projects. They make me want to try something besides layouts. LOVE this project! Thanks for sharing the links. Love, love, love these note holders! So cute! I just might have to put these on my to-do list! What a fantastic project! Checking one item off my teacher gift list! Those are just beautiful projects!! I love the file tabs and the little male and female silhouettes you've used. Awesome! Such an awesome project! Thanks for the chance to win! Very beautiful and useful project! Thanks for the inspiration. Oh I just love this! Have to get that file now! Thanks for sharing and for the awesome chance to win! What a genius idea to create note holders with Note to Self….love them! —>> Your creation using the NOTE TO SELF kit made me go *Wow* *WOW* *WOOWW* XDDD What a fabulous idea and project you've done..Great job! I already own a set of the NOTE TO SELF 12X12 kit and will be submitting my entry to Echo Park soon for the blog challenge contest. Simply LOVE LOVE LOVE the products from Echo Park! I could do much more if I win this! I like how you made some something so useful & practical! Wow, what a great idea for a papercrafting project!!! TFS! Another FABULOUS project Lowri!! I love them! Such a great paper line too – I will definitely be stocking up on this one! Thanks so much for sharing at The Creative Spark. I'll be featuring it today. Happy Sunday! I LOVE this Lowri! Thank you! Oh my goodness i love these note to self holders! so clever! wow! What a cool project…thinking I might just have to try it myself! what a fantastic and fresh way to use Note of Self Lowri.